Mississippi, the birthplace of blues music and the third leading cotton-producing state, is home to 3 million people. Seniors over the age of 65 make up 15% of the states total population. Cardiovascular disease, including heart disease and stroke, is the leading cause of death in Mississippi, which accounts for over a third of deaths in the whole state. Seniors begin to prepare for any health surprises by looking for Medicare Supplements, which is additional coverage for Medicare expenses. Roughly 560,000 individuals are covered under Medicare (2015, kff.org). Approximately 144,000 have a Mississippi Medicare Supplement Plan or “Medigap” policy (2015, AHIP.org). The most popular Mississippi Medicare Supplement Plans are Plan F, G, and N (2015, AHIP.org). Mississippi Medicare Supplement Plans can help pay for out-of-pocket Medicare expenses such as copayments, coinsurance, and deductibles. In Mississippi, there are ten standard Medigap plans labeled with a letter from A through N. It it important to know that the best time to enroll in a Mississippi Medicare Supplement Plan is during the six-month Medigap Open Enrollment Period. It starts the first day you are age 65 or older and enrolled in Medicare Part B. If you enroll during this period, you will not have to undergo underwriting regardless of your health status. After this period, medical writing can deny you coverage due to pre-existing conditions or disabilities. 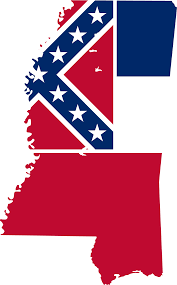 See was Mississippi Medicare Supplement Plans are available in your area. We can help find the best plan that fits your needs and help with the enrollment process. Call us as (800) 750-2407, complete our quote page, or view the link below to request for information.